When 'Aamchi Mumbai' was the good old Bombay, and India was still the British empire, many nationalities and cultures took their roots in this city. The Iranian community was one of them. Their Parsi cousins had made to this city and had laid the foundations of this city 1200 years before them, and when the Iranians arrived, most of them set their businesses here. A lot of them like the Yazdan family were home bakers. Ever since the Iranian bakeries most of which now are converted into cafes, continue to satisfy the foodies with their lip-smacking delicacies. Cafe Yazdan stood yet apart from all that. Located at the Horniman Circle, this café serves amazing delicacies. 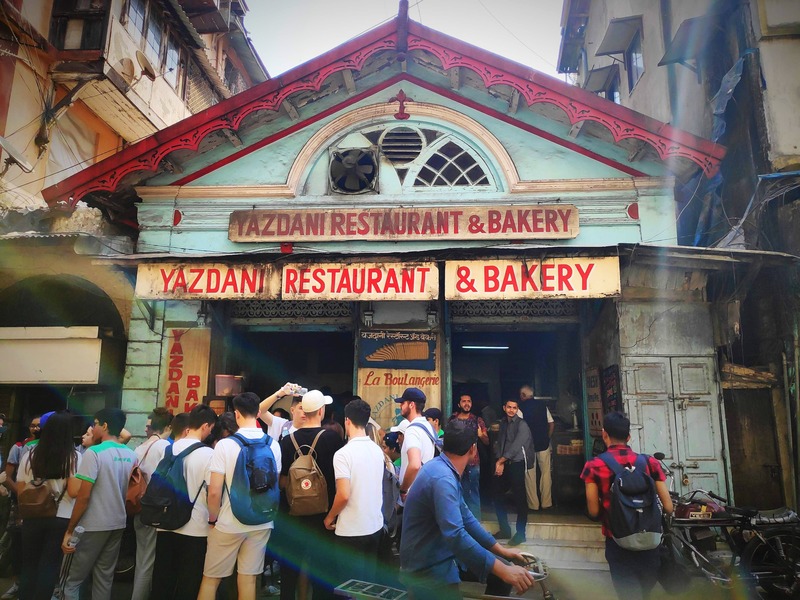 Some of their patented recipes are their Apple Pie, carrot cake, chai and Bun Maska, fiery GingerCookies and Pudding, and if you are in Mumbai your city tour is incomplete without a visit to this place. This place is always busy and very popular among German visitors and always flooded with tourists. Make it in time because they get sold off in no time. Do have their famous apple pie and pack away some freshly baked bread and the Ginger Cookies. The area around has modernised, killing the good old charm of Bombay.